Get a massive 500% bonus to play real money games of American Roulette online for free and use it to beat the house edge! Every time we publish an article on Roulette, we tell you that "you shouldn't play American Roulette." The game comes with a ridiculous house edge and the "00" slot on the Roulette wheel makes it a sucker choice. However, there's one thing we never take into account: what if you just wanted to play American Roulette? What if you didn't care about the house edge and all that? After all, gambling is not always about taking the most rational decision at the perfect time. That's why today we are exploring an untouched territory here on CasinoSmash and find out how you can play free games of American Roulette online. First, we look at some easy free games of American roulette online where you don't risk to lose anything. And where you don't win anything either - of course. Then, we'll move onto real money play and check out what's available for you to play American Roulette online. To play American Roulette online for free, just click on the button above and place your bets. On that page, you find a demo version of American Roulette online where you don't risk anything and that you can play with no download and no registration. It's like an American Roulette simulator. You start with a free bankroll and it's up to you to grow it or dry it with your bets. Remember: the house edge in American Roulette is of more than 5%, meaning you'll have to be really good and quite lucky to stay in the black. This game is the best to practice Roulette online for free. The fact you don't risk anything and you don't need to spend cash to play means you can use the Roulette simulator to learn the game and become a Roulette pro. Earlier this month, I published an article about the Martingale Strategy and one about the most common Roulette mistakes people make. With this free online games of American Roulette, you can put everything into practice and learn how to avoid all the mistakes rookies make, risk-free. You may be asked to register on the site after you play for a while or to access some different (and exciting) Roulette variants - it's free. Just fill out the form, pick a nickname to use on the site, and go back to your free games of American roulette. You won't need to deposit anything if you don't want to. And it's not only about American Roulette! If you register a free account and log into the platform you get access to hundreds of Casino games - all 100% free! Here's where everything gets a little trickier since you are going to need to deposit some money to play some free games of American Roulette. That's because you will use your welcome bonus to play Roulette games for real money - for free. Important notice: The process changes according to your location so - read on to see which bonus you qualify for. 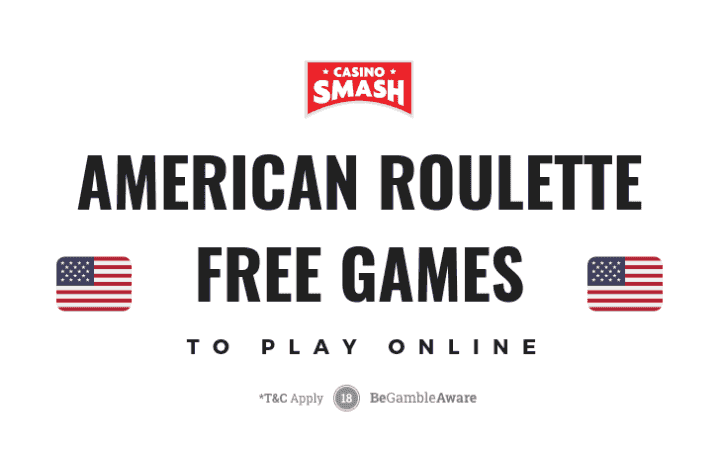 If you don't reside in the UK or in Ireland, you can collect up to €500 in free money to play American Roulette online. That's because Casino Superlines welcomes you with a magnificent 500% match bonus capped at €500. It's the best American Roulette bonus you can get in 2019, so make sure you don't miss it. The 500% match deposit does not require a bonus code and is available via the button below. Do know that the minimum deposit required to collect the bonus is of €20 and the welcome bonus balance is subject to a 4x wagering requirement before a withdrawal can be made. Since Casino Superlines does not operate in the United Kingdom, you are going to need UKGC-licensed Casino site to play American Roulette online. Right now, your best option is BetVictor. Not only because they offer great Casino games (online American Roulette included), but also because they give you a great bonus to play for free. 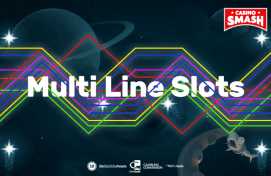 It's quite like the one at Casino Superlines, since you deposit £10 and get £50 to play. As you see, £10 do bring you a long way at BetVictor this month. Don't miss this bonus - just click on the button below to register and collect your free £50.